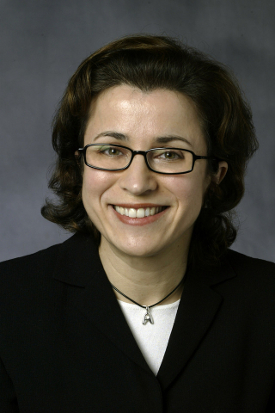 Ana Barros, the James L. Meriam Professor of Civil and Environmental Engineering, has been chosen to serve as a panel co-chair of the National Academies’ 2017-2027 Decadal Survey for Earth Science and Applications from Space. Sponsored by NASA, NOAA and USGS, the survey will generate consensus recommendations from the environmental monitoring and Earth science and applications community on an integrated and sustainable approach to the conduct of the U.S. government’s civilian space-based Earth-system science programs. Barros will serve as co-chair of the panel on Global Hydrological Cycles and Water Resources. It is a topic she has extensive experience in, after having led the first field mission to calibrate the core satellite for the Global Precipitation Measurement mission.